It’s only day two of Microsoft’s new Windows 8 blog, but already the company is posting some juicy details about its next operating system — though it’s likely it didn’t actually intend to. ‘Introducing the team’ is the second post on the Building Windows 8 blog from Windows President Steven Sinofsky, and explains how the complete Windows project is comprised of a set of smaller projects from various different teams. One of those teams, named “App Store,” all but confirms that Windows 8 will have its own method of digital software distribution, similar to that introduced by Apple to the Mac OS X platform earlier this year. Of course, this is really nothing new for Microsoft: Windows Vista had an app store of its own called the Windows Marketplace, but it never really took off. Will things be different under Windows 8? I’m guessing so. This isn’t the first time a Windows 8 app store has been reported either. A leaked screenshot of the Windows 8 app store — complete with Angry Birds — surfaced online back in April, but we could never really be certain it was legitimate. Despite introducing Windows Marketplace to Windows Vista, Microsoft will undoubtedly be accused of copying Apple with an app store under Windows 8 — especially if it’s given the ‘Windows App Store’ name. What seems like another interesting team working on the Windows 8 operating system is the one called ‘Human Interaction Platform’ — which suggests the next iteration of Windows will have a Kinect-like input device or even Kinect integration. The latter certainly seems to make sense, and would certainly increase popularity of the company’s Kinect device. 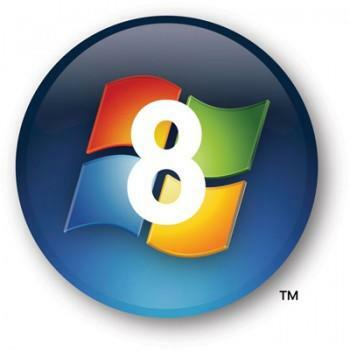 Do you think a Windows 8 app store is a good idea? What about Kinect integration?